James Foley's Mother, Diane, will lead a discussion following the screening. On Thanksgiving Day 2012, American photojournalist James “Jim” Foley was kidnapped in Syria. He was missing for two years before the infamous video of his public execution by ISIS was posted online, and sent shock waves across the world. 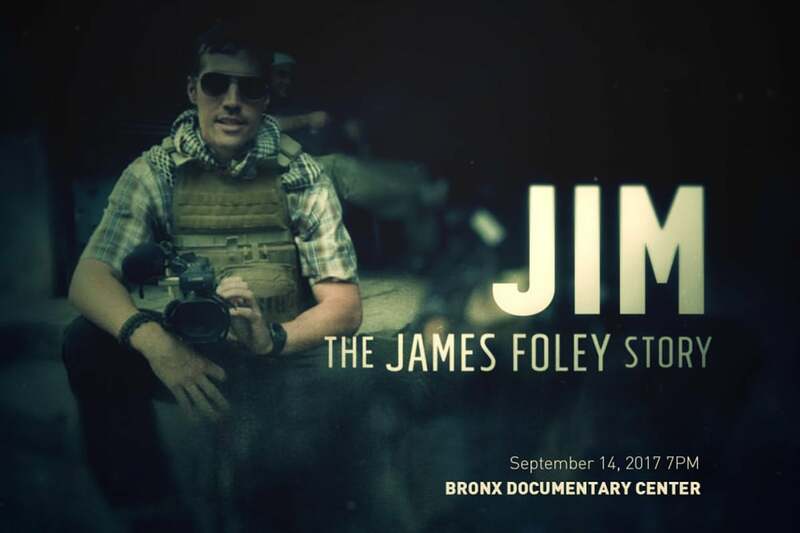 'Jim: The James Foley Story', a documentary by close childhood friend Brian Oakes, tells the story of Foley’s life through intimate interviews with his family, friends and fellow journalists – while fellow hostages reveal never-before-heard details of his captivity. For information on how to participate in the annual James Foley 5K Run/Walk, held on October 14th, please visit here. And to learn more about the work of the James W. Foley Legacy Foundation visit jamesfoleyfoundation.org.